Have you ever seen a more beautiful afghan? I’m sure you have not. 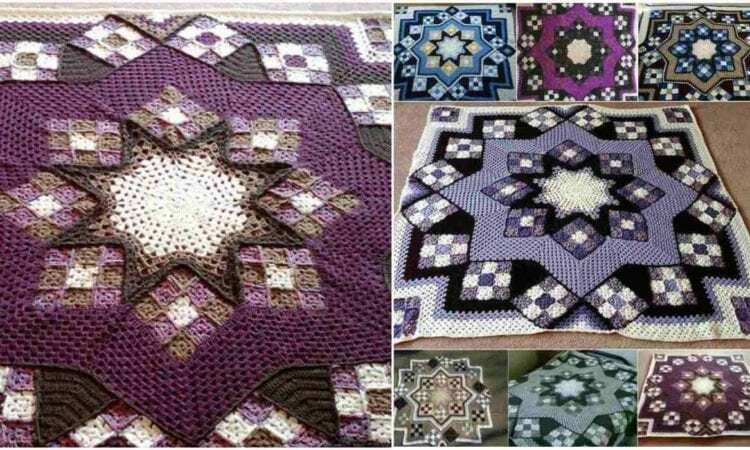 This pattern is one of the most used crochet patterns in the world and thousands have been made in various colors. The photos below represent only a few of them. No more words are needed, everyone should try at least once to create such beauty. For more free designs every day follow us on Facebook. Links to the free pattern and video tutorial are below. Blue Star Afghan – Free Crochet Pattern is here. The photos used are from Ravelry, you can read there more about this projects. The video tutorial is below. Don’t forget to Like us on Facebook. Share your ideas and your work on our Facebook group. What colors of purple was used?